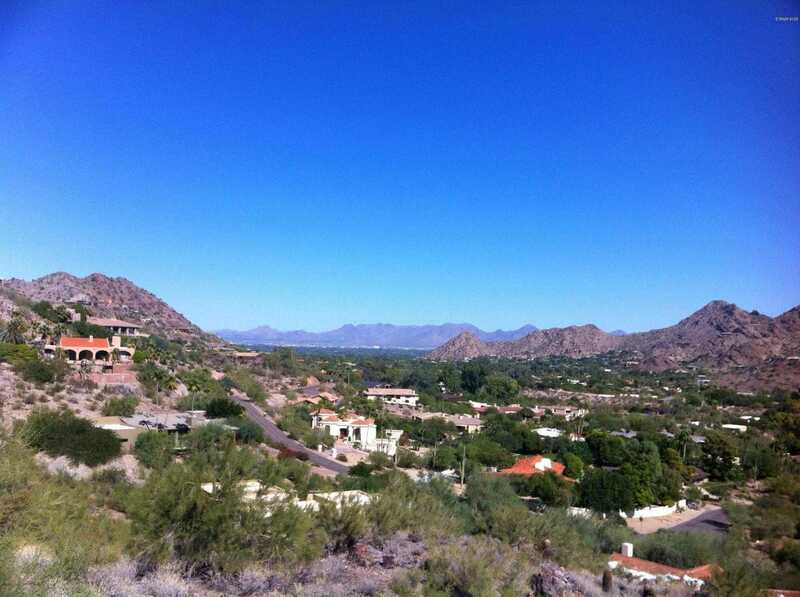 Reduced reduced …Two parcels lot …one of the most amazing view left in Paradise Valley..Two spectacular adjacent lots with perfect eastern exposure capturing Camelback, Mummy mountain and the Prying Monk . Seclusion and privacy in the middle of Paradise Valley . Great views and not a cliff hanger .. Easy to build one or two homes plus a guest house .. truly amazing parcels . Lot 17 and 18 are included in this price .